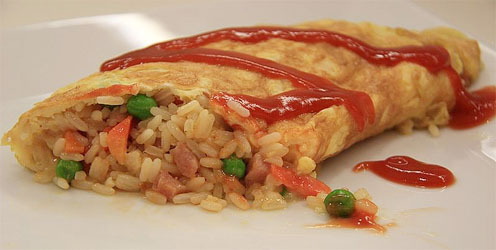 Omurice, sometimes spelled "omu-rice" (Omu-raisu), is an example of contemporary Japanese fusion cuisine (Yōshoku) consisting of an omelette made with fried rice and usually topped with ketchup. 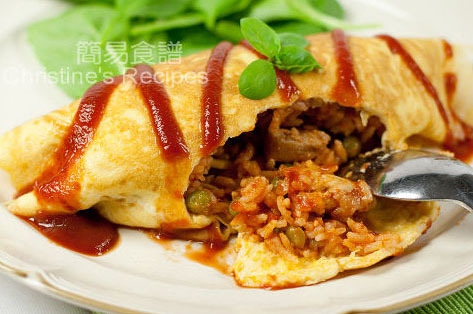 Omu and raisu being contractions of the words omelette and rice, the name is a wasei-eigo. It is a popular dish both commonly cooked at home and can be found at many western style diners and izakaya restaurants in Japan. 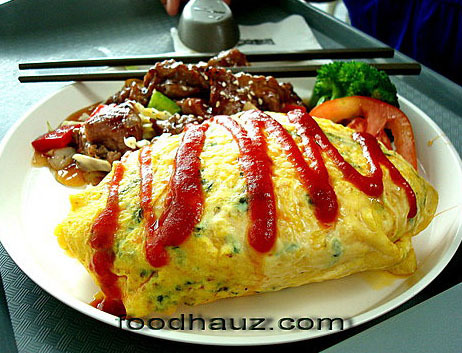 It remained popular in Korea after Japanese occupation ended and it is a popular dish in many restaurants throughout South Korea today, where it is rendered as "오므라이스 (Oh-meu-rah-ee-seu)" in Hangul. The dish is also popular with children and often featured on okosama-ranchi or kids' meals. 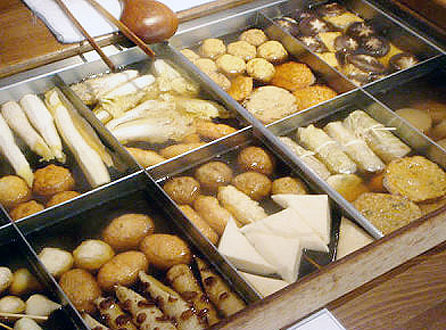 Oden was originally what is now commonly called misodengaku or simply dengaku; konnyaku or tofu was boiled and one ate them with miso. 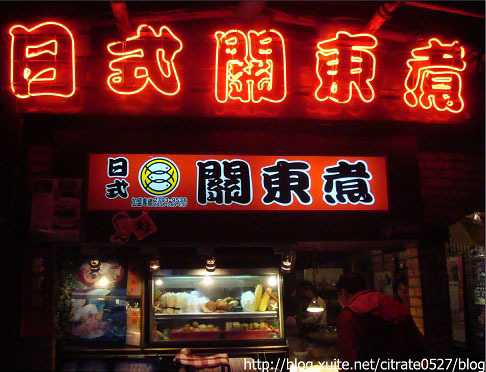 Later, instead of using miso, ingredients were cooked in dashi and oden became popular. 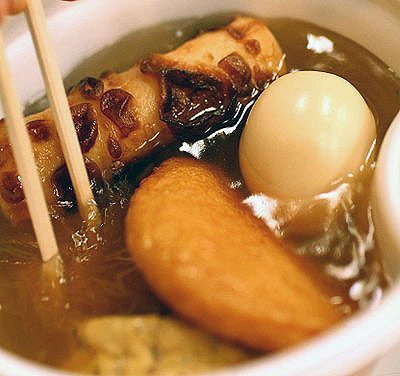 Oden is often sold from food carts, and most Japanese convenience stores have simmering oden pots in winter. guāndōngzhǔ (關東煮 from Kansai word 関東煮).